Tim's technical experience ranges from fixing everything from lawn mowers to helicopters, but since 1993 he has been focusing specifically on Recreational Vehicles. 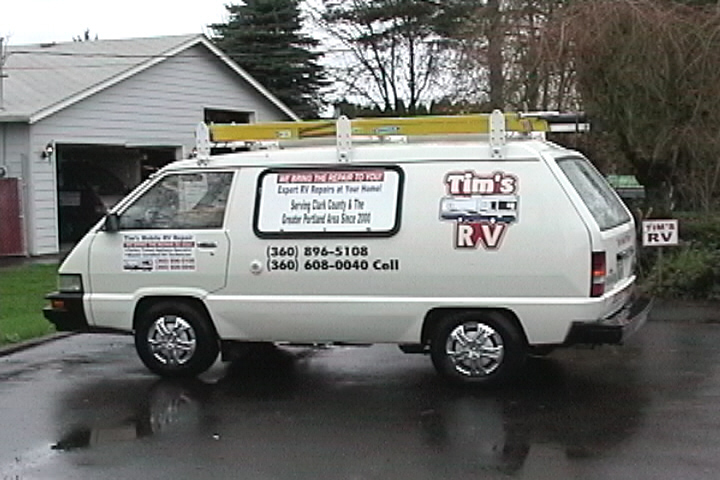 Starting out as an RV technician in 1993 and successfully holding the positions of shop foreman and service manager along the way, Tim established Tim's RV in June of 2000. For Tim, servicing your RV has become a way of life. Tim has successfully completed factory training from all the major RV appliance manufacturers, and in 1998 achieved the status of "Master Certified RV Technician". 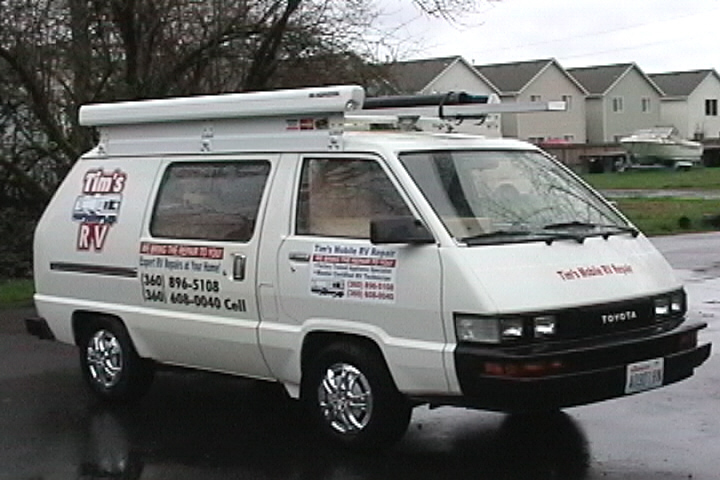 Tim's service van is loaded with an impressive inventory of technical parts for your RV. If you are having a problem with your coach, chances are good that Tim will find the problem fast and have the part to fix it on-site with just one visit! Clark County (360) 687-5050 Portland (503) 223-5255 . We want to your RV experience to be the very best it can be.